A building is a structure composed of bricks and cement but gets its beauty and value only by the way the building is decorated both externally and internally. The home is adorned by the virtues of its occupants and the pleasing colors of the walls, pictures and paintings with which the home is decorated. This gives some sort of peace and happiness to be at home, besides attracting visitors, growing of plants, creepers indoor adds to the beauty of the house. Nowadays this type of interior decoration has gained importance as this gives immense pleasure to its dwellers. 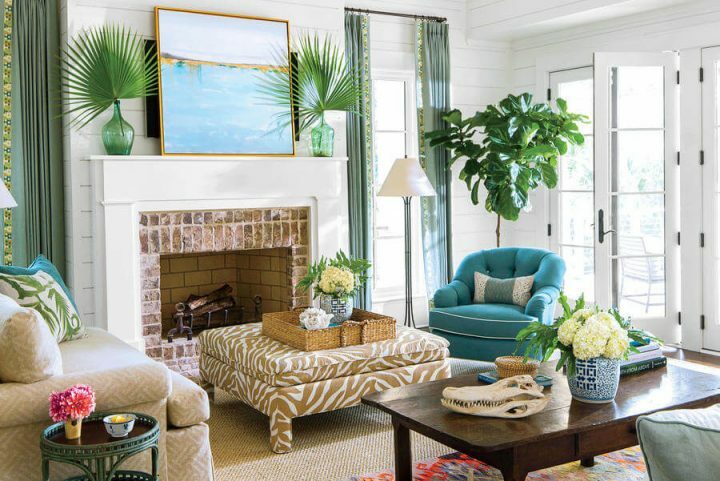 Plants do more than beautifying your indoor space. The therapeutic nature of plants can bring a host of physical and mental health benefits. Well placed green thumbs brighten your room, purifies the air and also creates more relaxing and restful ambience. Spider plant, Bamboo palm, Money plant, Baby rubber, Gold fish plants are best choices for your living room. 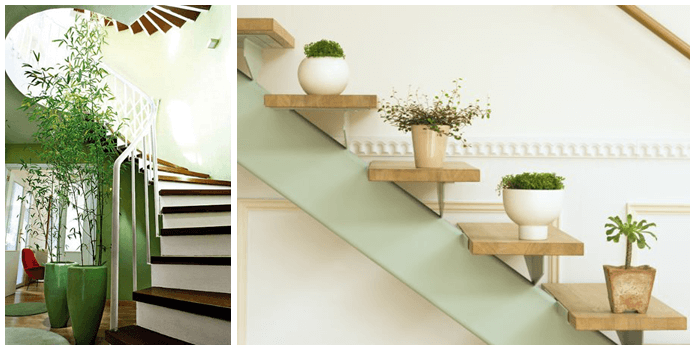 Placing plants on stairs depends upon the availability of space. Can choose modern colorful planter pots and add along the edges of each step or place a single grand plant at the corner which gives a stunning look. 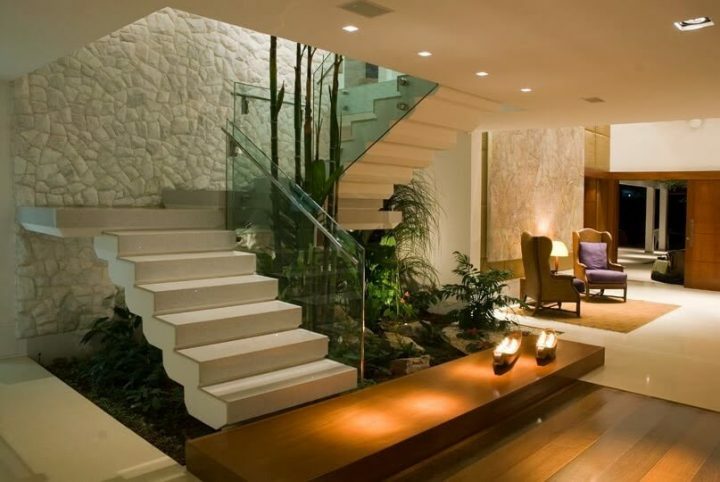 Classical planters give unexpected twists in decorating the space under the stairs. Feel more cozy and fresh with these natural dynamic decors. Plants are gifts to get well, they boost our health and mood and make us happy. 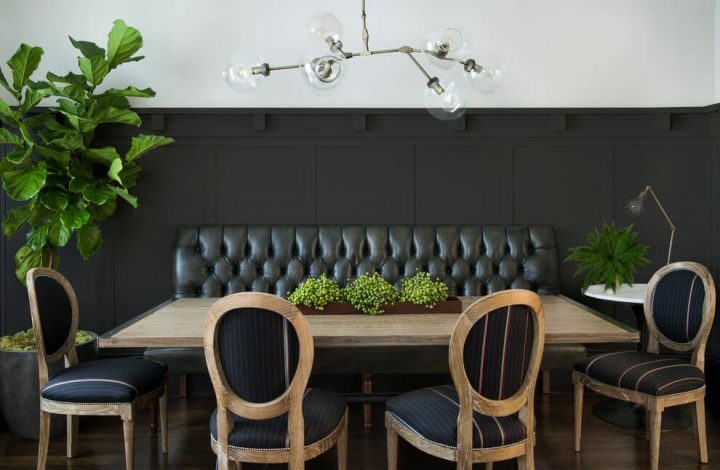 Stay happy and healthy to enjoy your food with these amazing dining room plants like Corn, Janet Craig Bush, Umbrella Tree the listed top performers in air cleaning. Bonsai would be the best center piece to add beauty to your table. The ideal place to grow herbs which gives you fresh leaves handily to prepare delicious dishes. Bamboo Palm is the best which cleanses the air of benzene released during use of gas, so perfect for kitchens. Placing the plants in a good location with proper ventilation and lighting helps the plants to adapt easily. Decorate and beautify your kitchen and enjoy cooking. Relaxing and purifying benefits of plants will promote a healthy sleeping pattern. Fill your bedroom with these sweet scented Jasmine, Lavender, Gardenia, Peace Lilly giving a natural calming effect. Bring nature indoor to have a good night’s sleep. Greening your bathroom naturally is a lovely visual addition, adds color and comfort by cleaning toxins in the air. Choose plants like Aloe Vera, Snake plants, Spider plants which thrive on the regular basis of moisture from your shower. Add white orchids for bright and airy look. Orchids placed near the bath tub creates a subtle elegance and is perfect for modern bathrooms. Plants reduce sick building syndrome, increases productivity, relieves stress and anxiety. Study rooms with indoor plants enhances the concentration of kids in their studies. Placing a cactus or Bamboo on the study table will protect the area from negative energy. Helps in refreshing the mind and boost energy levels. 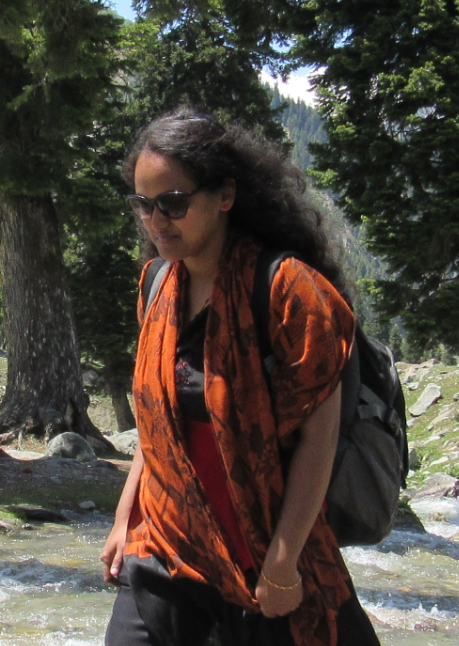 Try implementing these ideas even for home office and experience positive change. 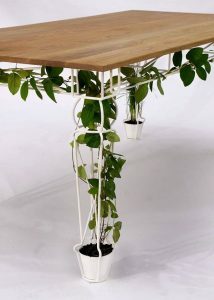 Here are some beautiful and innovative green tables and robot garden which are unique, eye-catching and highly functional. 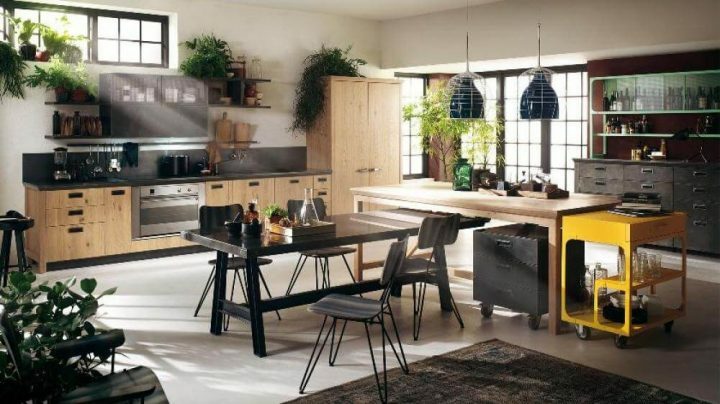 Now everyone loves to live in natural atmosphere, with the deforestation everywhere we have no way but to create natural environmental surroundings at home using the techniques of modern mini green indoor decors and enjoy the pleasure of living with nature.